Deal Alert: Sam’s Club – Get $45 back! January 16, 2019 January 15, 2019 Abby H.
Do you have a Sam’s Club near you? If so, check out this cool deal. 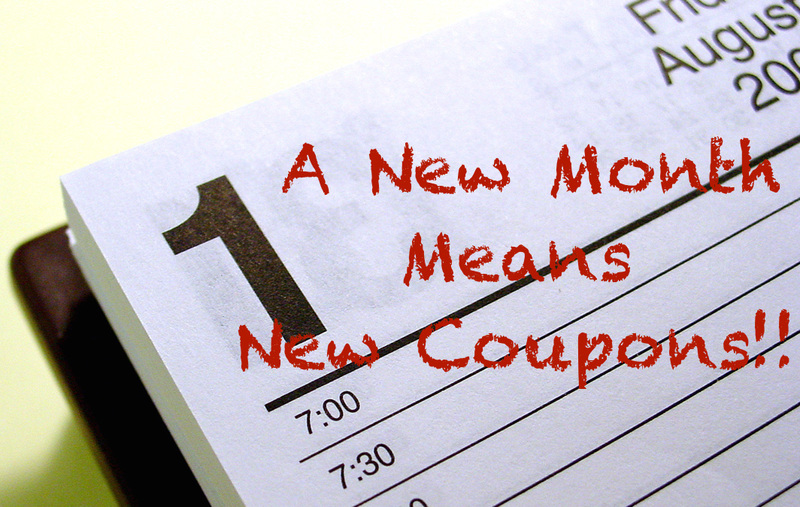 Receive $45 off your first purchase when you get a Sam’s Club Membership for $45! And did you know that you can skip the checkout lines with Scan & Go? It’s a pretty cool app! Sam’s Club also have Freeosk’s inside many locations, which dispenses free samples! Pretty cool, right? 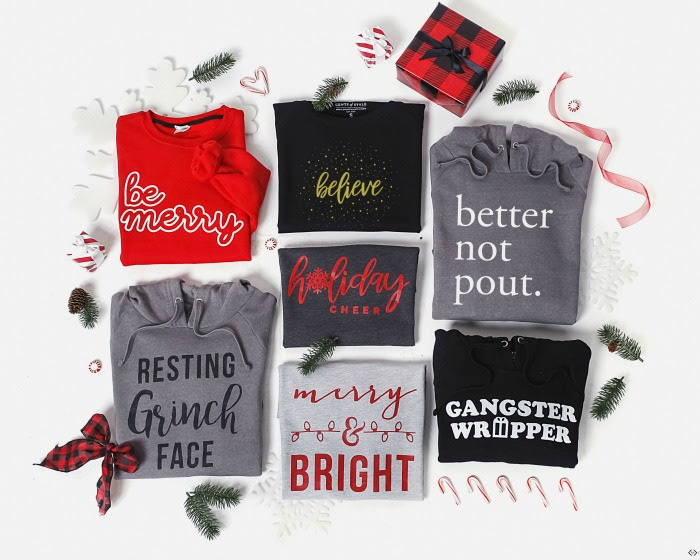 Cents of Style: Holiday Graphic Sweatshirts & Tees on Sale! December 3, 2018 December 2, 2018 Abby H.
Cents of Style is back at it! They have my favorite graphic tee’s and sweatshirts, I have several. These holiday tee’s and sweatshirts are sweet and sassy. My favorite is the Gangster Wrapper. Today only, you can take $13.00 off the lowest marked price making tees only $16.95, sweatshirts only $21.95, and hoodies only $26.95! These designs are so cute and so fun and bring a little extra festive style into any wardrobe this holiday season! They are so cute to be snuggled up in around a fire while watching your favorite Christmas movies or even better as you are trying to stay warm running around town finishing up all of your holiday errands. Sizes range from S-3XL making these the perfect item for any and everyone! The coupon code is HOLIDAYSTEALS and it takes $13.00 off the lowest marked price! Don’t forget the FREE Shipping! November 23, 2018 November 23, 2018 Abby H.
This dress was Margaret’s choice. She announced it was perfect for twirling. I like that it’s less than $10! Henry chose PJ’s, because he is all about cozy pants. And the one thing on the Crazy 8 website that I love is this super cute Neon Cat Backpack. Yes I know it’s kid sized, but it’s soooo adorable! What I love about Crazy 8 is that clothes are stylish and well made. They hold up to the wear and tear that my kids subject them to. Talk Back: What caught your eye on the Crazy 8 website? Do you have any kids to shop for this year? 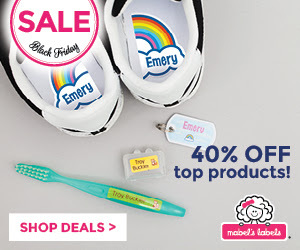 Black Friday Deals from Mabel’s Labels! November 22, 2018 November 25, 2018 Abby H.
Mabel’s Labels make great sticking stuffers! And for Black Friday, you can save 40% off top selling items. From Tag Mates, Mini Custom Name Stickers, and Personalized Name Stickers to Starter Label Pack, Iron Ons and the Little Kid School Combo – your favorite customized items are 40% through Cyber Monday, November 26th. 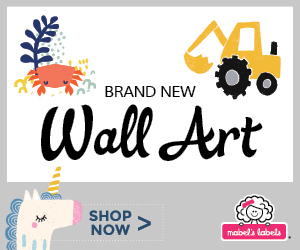 Or if you are looking for some home decor to gift this holiday season, Mabel’s Labels has Wall Art. I love the unicorn design.